Read Across America Day 2014 was a BLAST! We had loads of fun reading and drawing with First Graders all morning. What a wonderfully creative group of kids! 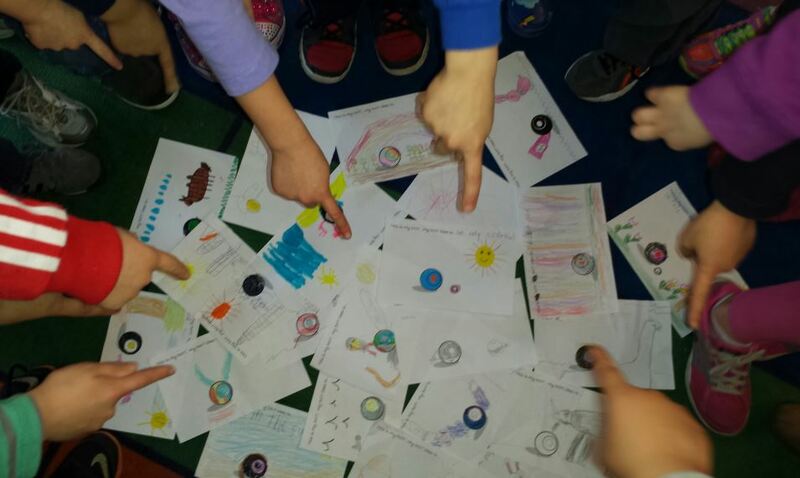 Thank you again to Mercedes Strowbridge at Periwinkle Elementary in Albany OR and Margo Harms at Bridlemile Elementary in Portland OR for organizing. In honor of the National Education Association’s Read Across America Day, also Dr. Seuss’s Birthday, Bjorn will be reading his Dot books at two Oregon schools on Monday, March 3rd 2014! In the morning, he’ll be reading to first-graders at Periwinkle Elementary in Albany. And in the afternoon, he’ll be reading to first-graders at Bridlemile Elementary in Portland. 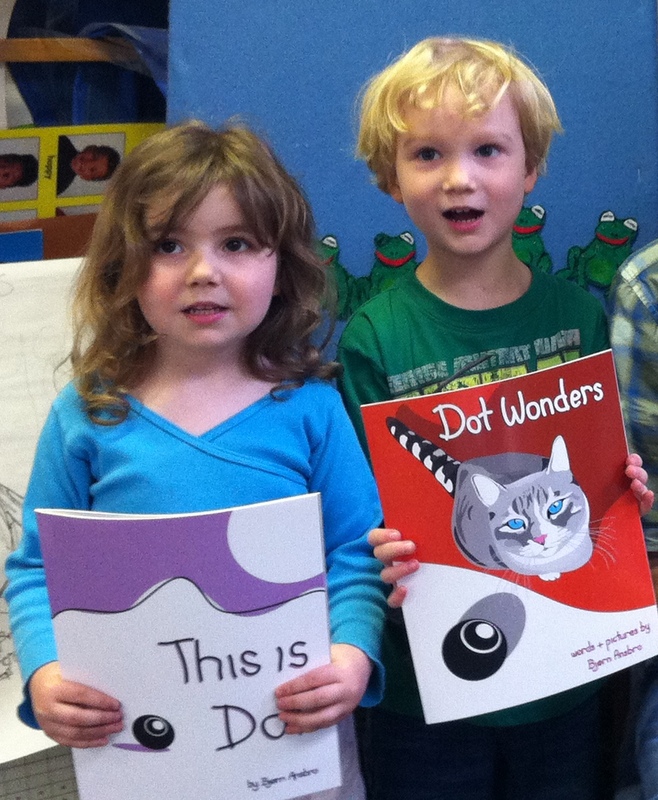 Apparently Mr. Ethron Young’s kids LOVE having their dad read This is Dot and Dot Wonders to them. Turns out that Ethron, of Ethron Productions, is a talented film and video producer who decided to use his skills to produce a video review of the books. WOW! Thanks Ethron! Thank you, North Gresham Elementary! We had a GREAT time reading together! And a very special THANK YOU to Karen Hirschmugl and Tiffany and Ethron Young for organizing the event, our biggest one yet. Bjorn read to five different groups, from kindergarten to 3rd grade, throughout the day on Oct. 25th. 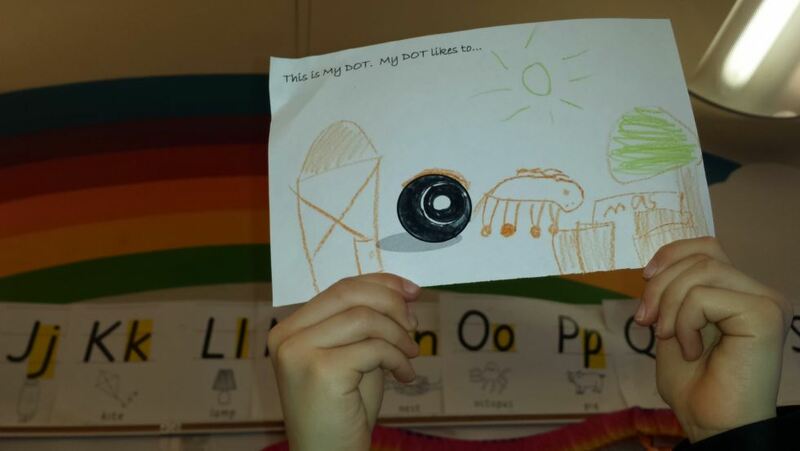 The kids had lots of great questions about the books and everyone got a chance to draw their very own Dot! It’s Never Too Late for CREATIVITY, COURAGE and COLLABORATION! Mark your calendars… for about a year from now, that is. September 15th is International Dot Day, “a global celebration of creativity, courage and collaboration.” Inspired by Peter H. Reynolds’ beautiful and touching book, The Dot. We’ll be sure to have some fun stuff planned! Just a special “Thank You!” to the staff, parents, and students at the Lee Owen Stone Pre-School in Portland, Oregon for inviting me to read to such wonderfully inquisitive children. The kids especially like the picture of the kitty, cow, and octopus. And of course, finding Nibbles the Bunny is always super fun! Keep reading with your kids and encouraging their imaginative spirit! Bjorn Ansbro is stoked to be donating books and reading This is Dot and Dot Wonders to the students at the Lee Owen Stone Pre-School in Portland, Oregon on Thursday, April 4th 2013. 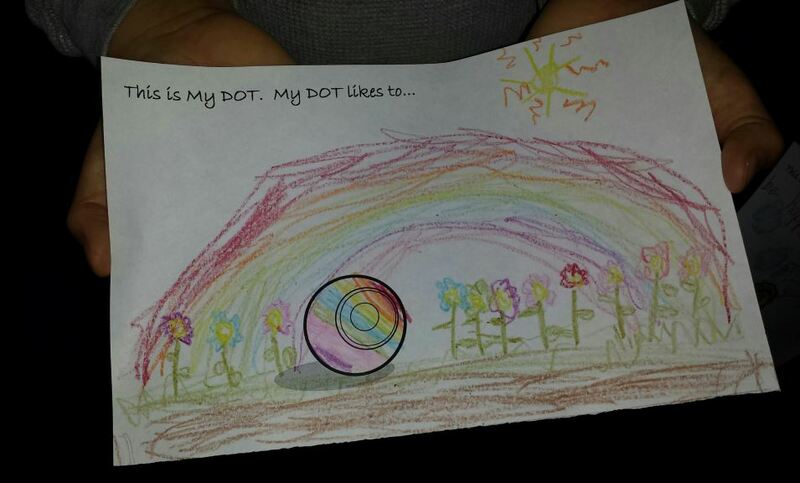 The Dot books are designed to encourage children to express their own thoughts and feelings about the story. It’s always fascinating to see what the kids imagine beyond the imagery on the pages. Squiggly Line Media urges parents to read to their children daily and volunteer time at local schools to spread the joy of reading.